When it comes to makeup, the number of products available in the markets and online can simply drive one crazy. And, god help the beginners! But we all eventually get there after a lot of experimenting and episodes of makeup nightmares! Good makeup begins with a good foundation. But the choices can be overwhelming (we have all been there!). 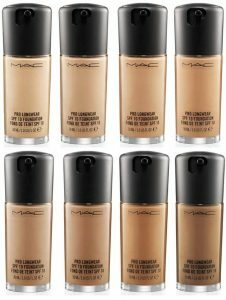 The one brand name that immediately pops up when speaking of a good foundation, is MAC. It has been taking the makeup world by storm for quite some time now and while it falls on the high end side of one’s beauty regimen, most users will agree that it is all worth it! 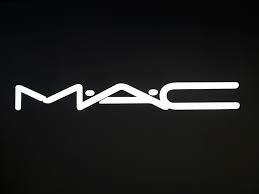 The quality and the flawless finish of the MAC products is undeniable. Before we start with the list, let us first get you introduced to the color code that MAC follows. it has divided the foundations into two categories: NC (neutral cool) and NW(neutral warm). This is followed by a range of numbers 15-55. The NC foundations will have yellow undertones while the NW ones will have pink undertones. The numbers are to tell you how dark the shade is (55 being the darkest). 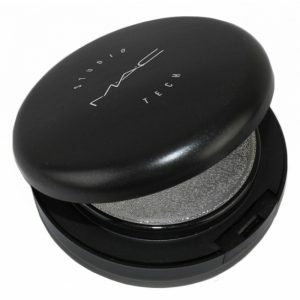 MAC also has plain C’s and plain N’s which are just stronger versions of the cool or neutral undertones. Be sure to find your undertone and shade number to pick the perfect foundation. 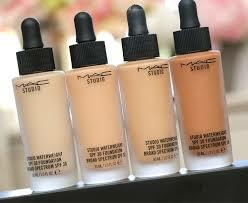 As the name suggests, this foundation can be applied on the face as well as the body. The foundation is lightweight and does not feel cakey. The coverage is medium and therefore it is perfect for a casual day out. It blends into the skin rather effortlessly and provides a natural finish. It gives a demi-matte finish and is ideal for the ones with normal or dry skin. If needed, you can build it up to get more coverage. If you have dry skin that turns patchy and flaky on applying makeup, then this foundation would be the ideal choice for you. 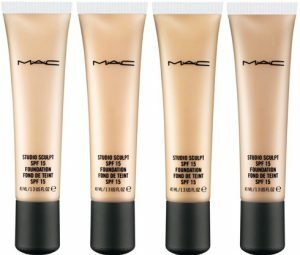 Mac Studio Water-weight foundation provides a fairly good amount of hydration to the skin and evens out the skin texture. Another plus point is that it contains SPF 30 and so it would provide protection against the sun rays. It has a dropper nozzle which is way more convenient that the wide and round lids which tend to spill the product. 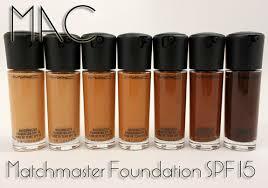 This foundation comes in many shades so you can easily find your match master! It provides a demi-matte finish. The coverage is medium but build-able. To be more specific, this product is made using the “shade intelligence technology” which enables its pigments to match your skin tone perfectly. It lasts for about 6-8 hours and without fading, melting, oxidizing or lifting. This one is for those long nights when you want your makeup to last for as long as it can! It is an emollient based product. Needless to say, it provides full coverage in a single layer. It does a great job with the wrinkles as well. It will not crease or settle into fine lines. It effectively blurs imperfections including the massive pores which cause foundation to disappear. It is long lasting and water proof. It is also available in many shades. Now this one can be used for any skin type but it is ideal for the ones with oily skin. It provides a matte finish and unlike most powder foundations, Studio fix powder plus foundation is easy to blend. Since it provides a powder finish, it can be used on its own or as a setting layer on your foundation. It works well either way. It lasts for about 6-8 hours and has a good coverage as well. 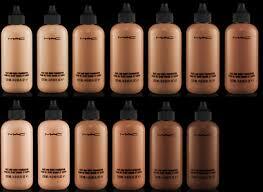 It is less expensive than the other foundations by MAC. It comes in a tube packaging and it is pretty easy to carry around. This foundation is gel based and blends like a dream. It looks just like your skin but better! It gives a natural satin finish. You can wear it daily. It brightens up the skin tone and gives a luminous look. The coverage is medium so you can build it up to get more coverage. 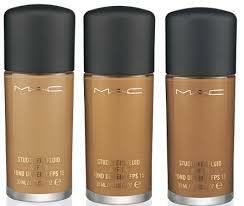 Mac Pro long wear foundation is mostly popular among the makeup enthusiasts for the reason that it last for up to 15 hours. It does not let the oil secretion disturb its finish and stays perfectly put on the skin. Obviously, it is the perfect choice for ladies who work long hours. Its lasting power is not affected by the weather as well. The coverage is pretty good and it gives a matte finish. 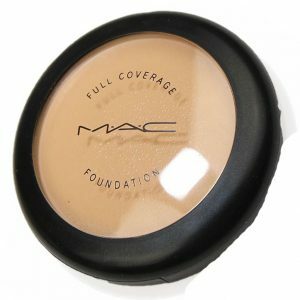 This foundation is widely popular because it works wonders when it comes to concealing the problematic areas on the skin. It evens out the skin texture and gives a natural glow. Even the oily skin beauties can use this without any hesitation because it does not oxidize at all. It will not cause any breakouts so it can be applied on sensitive skin as well. It contains minerals and hydrating ingredients like Vitamin E and Shea butter so all in all it’s a treat for your skin. 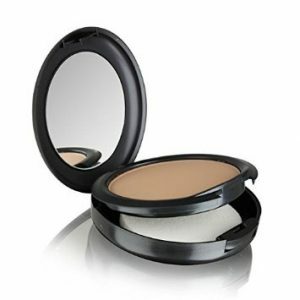 The studio tech foundation is a compact foundation which glides on to the skin and gives an airbrushed, soft look. It comes with a sponge applicator and so you can do the touch ups whenever you want. It gives a flawless finish with minimum application and its lasting power is also pretty good! As the name suggests, this foundation has a thin consistency. It is therefore quite lightweight and spreads all over the skin to even it out. It moisturises the skin and is the perfect choice for achieving the natural glowing look. It is available in many shades and works for oily skin as well. Since it gives a matte finish, it is best suited for oily and normal skin types. 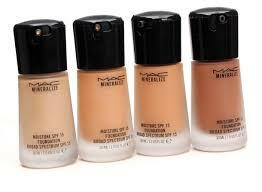 Any makeup look starts with a flawless base and the listed MAC foundations will help you to achieve that. Its cosmetics are expensive but since you have to put these on your face, you might as well make a costly instead of a risky choice.